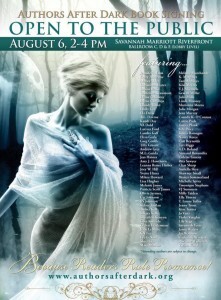 Impishly Yours marks the final novella length story in the Devil May Care series. I’m working on a free short Changeling Encounter story featuring Elle’s friend, Irene, which I hope to make available later this year. Devil Inside, the first story in the Devil May Care series, was my first published work, making this series extra special to me. As much as I am sad to say good-bye to the characters, I loved telling each of their stories. I absolutely adore this awesome cover by Bryan Keller! He’s captured Sixx and Elle perfectly. So excited to be a signing author at Authors After Dark. 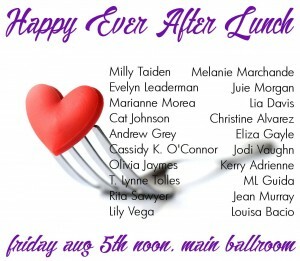 I’m also sponsoring a table at the Happy Ever After Lunch. 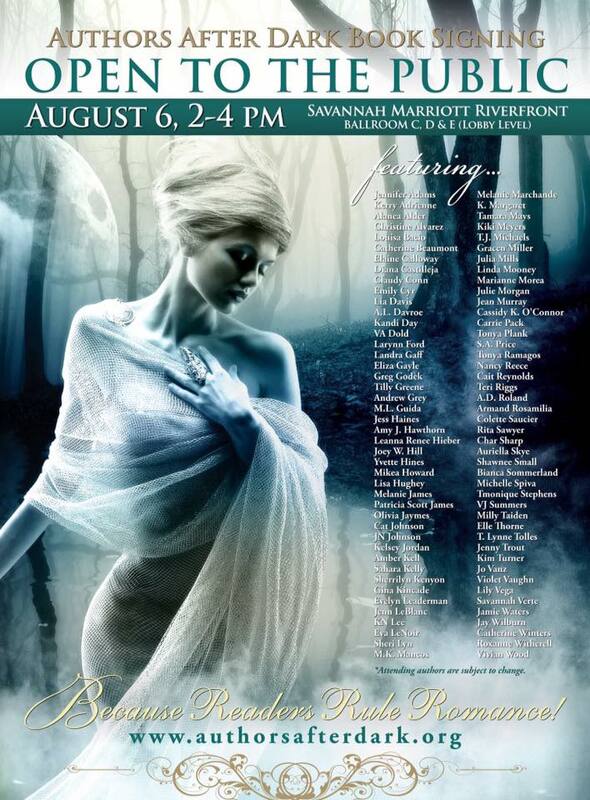 I hope to meet you in Savannah! Wicked Game (Reindeer Games) Now Available! Wicked Game (Reindeer Games) is now available! Falling For Her (Devil May Care #4) Now Available! A millennia ago a woman’s betrayal resulted in the loss of Kristoff’s wings and his banishment from heaven. Forever lonely, he seeks a companion to spend eternity with in his own personal hell dimension. Xanthe, a matchmaking lust demon, has the perfect cure – a blind date with a witch. But when Chandra offers Kristoff sexual healing, will he go through with his plan to keep her forever, or will falling for the beautiful witch be his undoing?